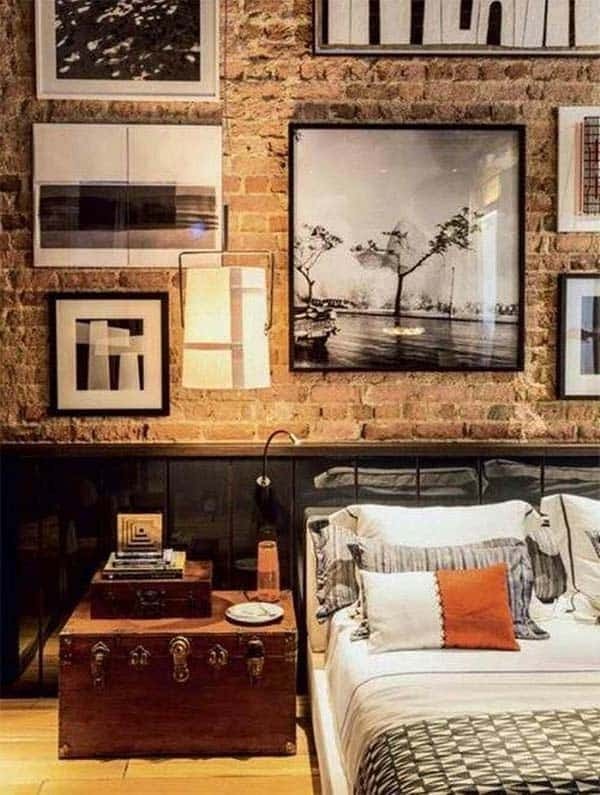 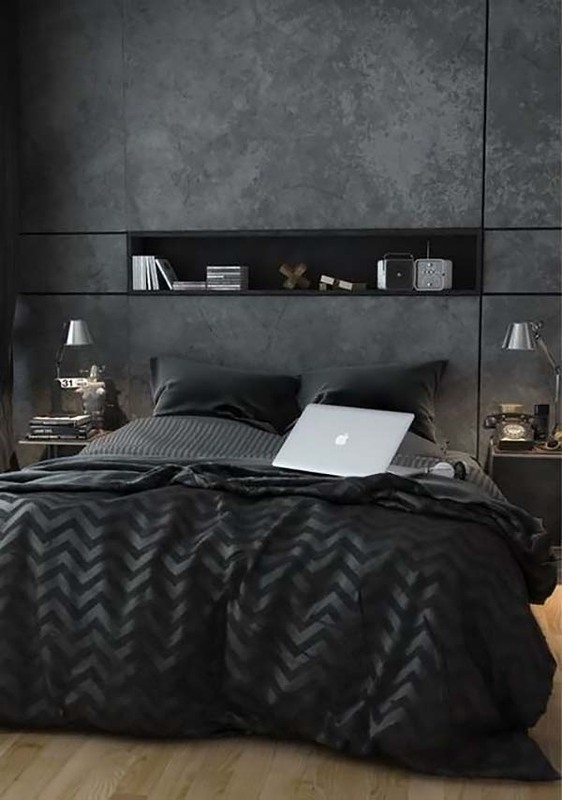 A stylish masculine bedroom design typically involves the absence of glamorous accessories and bright and airy hues, showcasing in its place, minimalistic details with layers of darker shades. 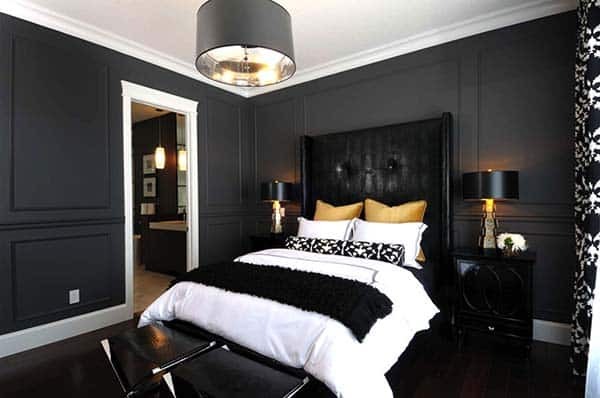 These rooms can be very stylish, and inviting for both genders to appreciate the beautiful aesthetics to a masculine space. 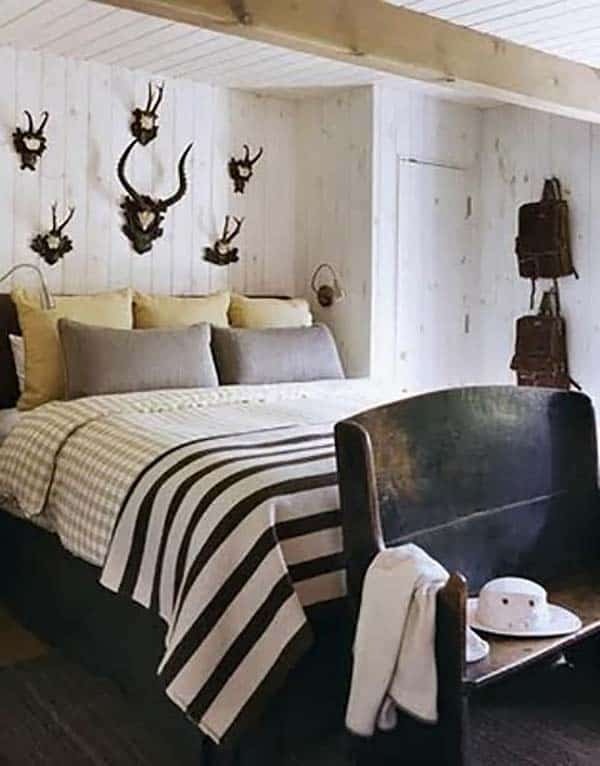 There are certain qualities and materials that pertains to a masculine design, items such as leather, flannel and wool tend to evoke a more manly vibe. 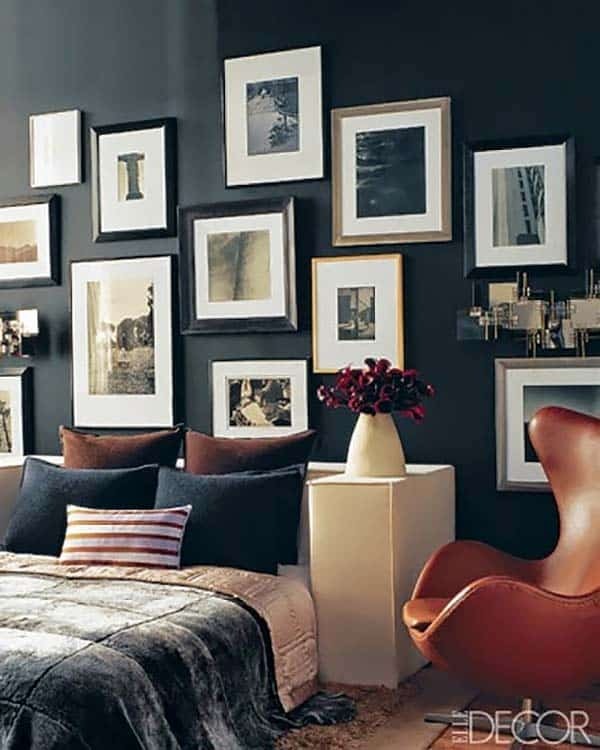 As do darker hues such as black, gray, brown and blue. 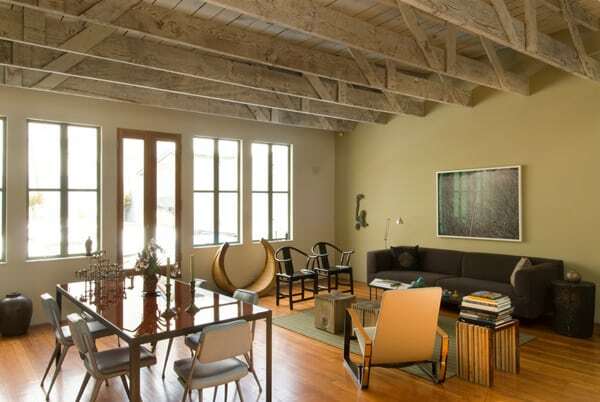 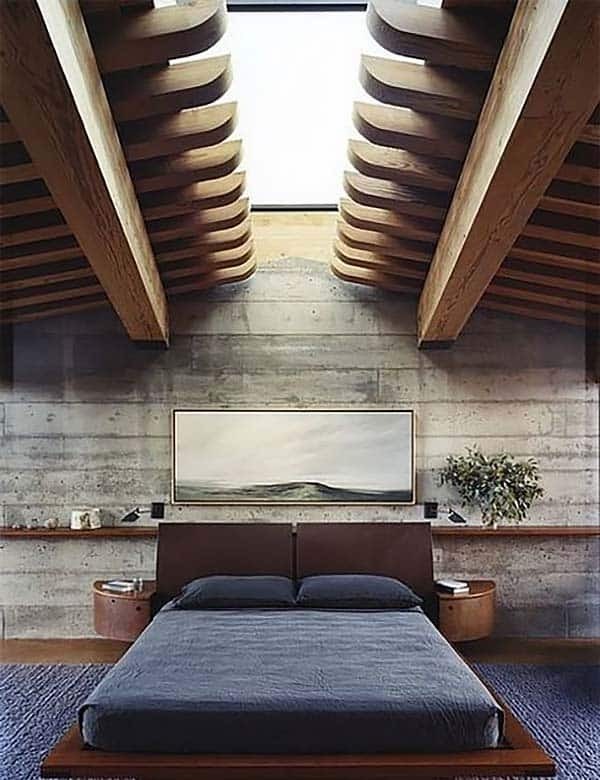 Straight lines as well as hard edges will read as masculine, as does the use of rougher materials such as concrete. 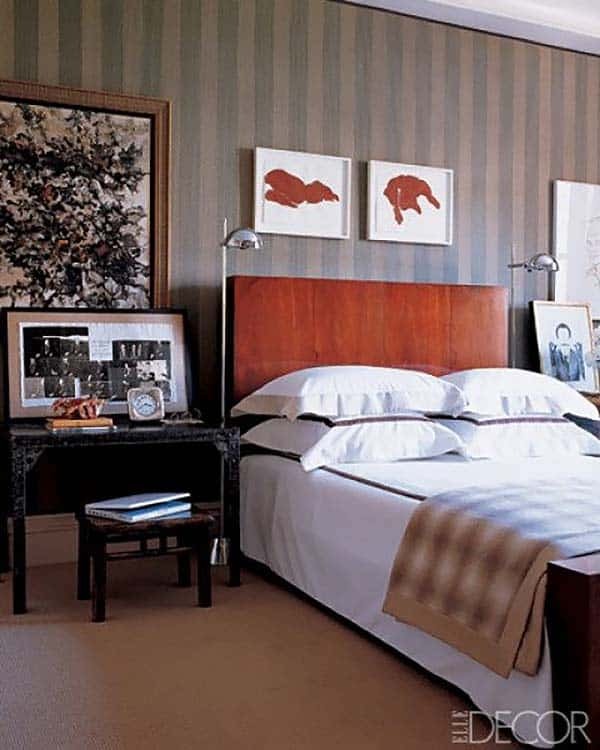 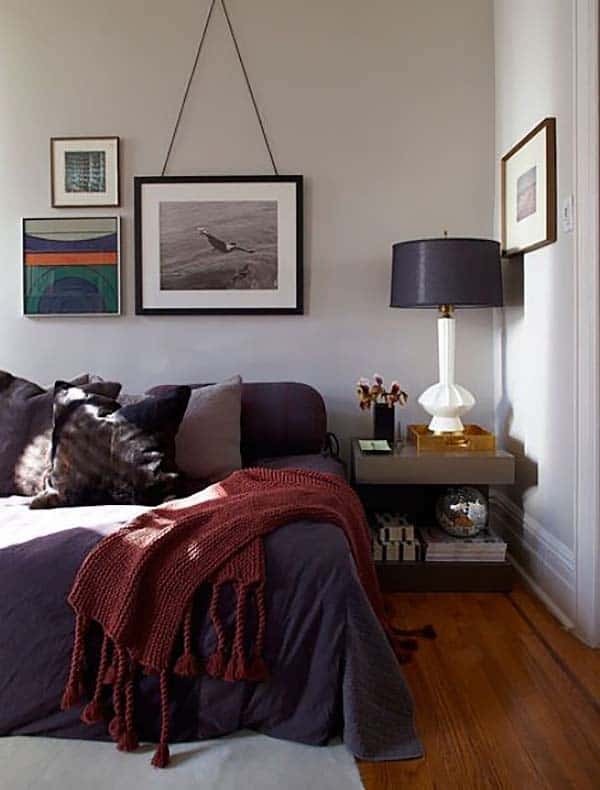 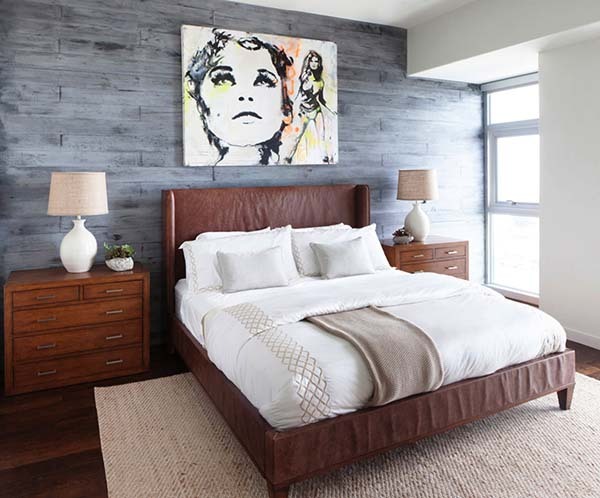 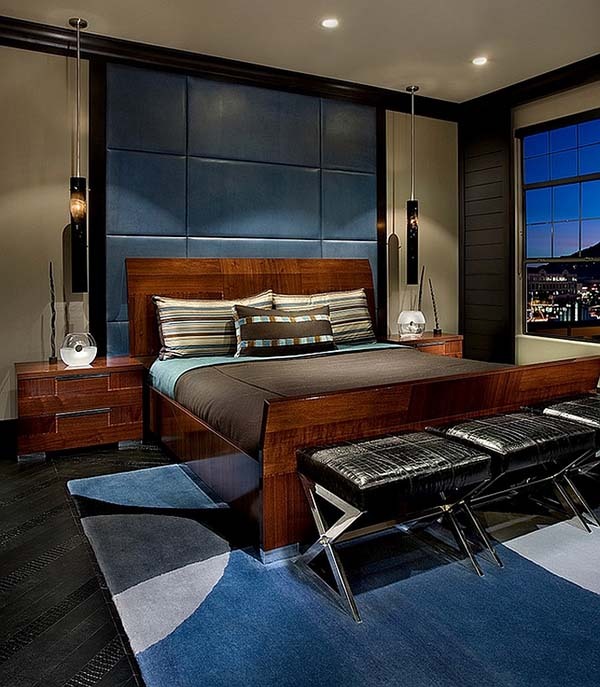 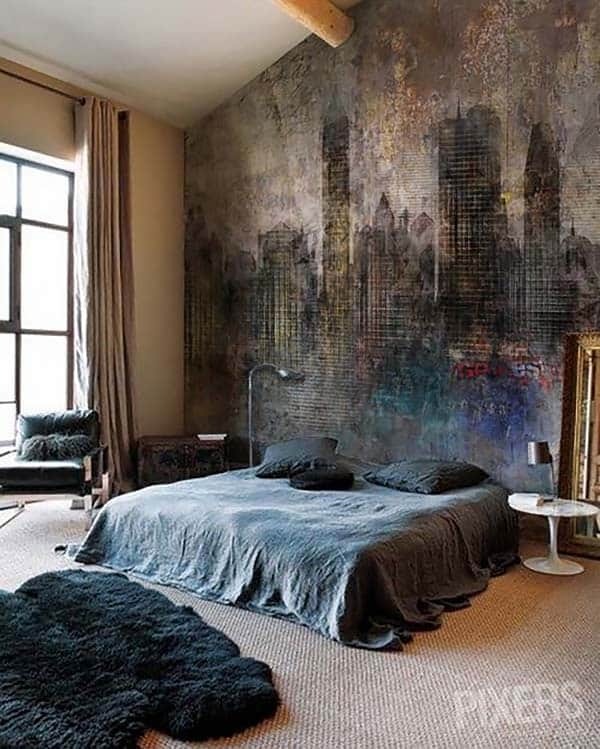 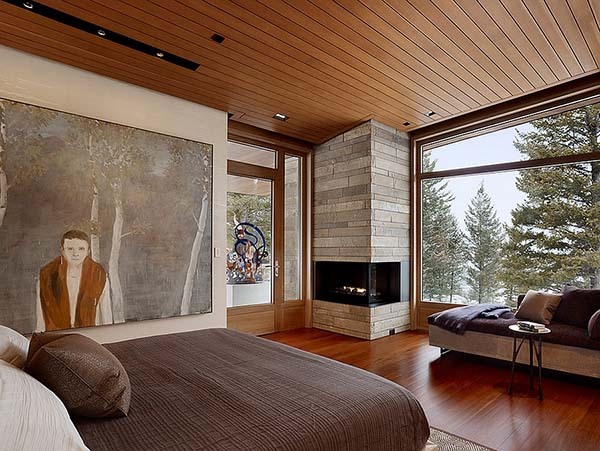 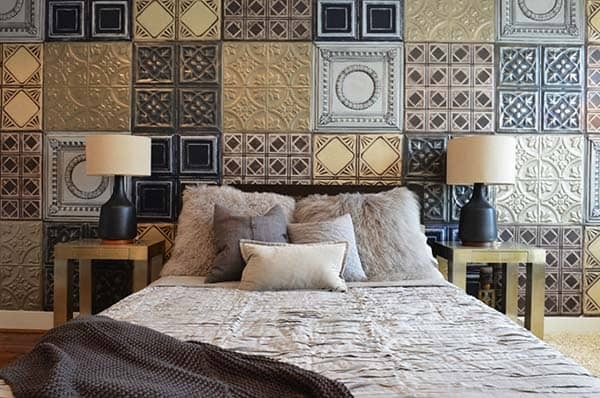 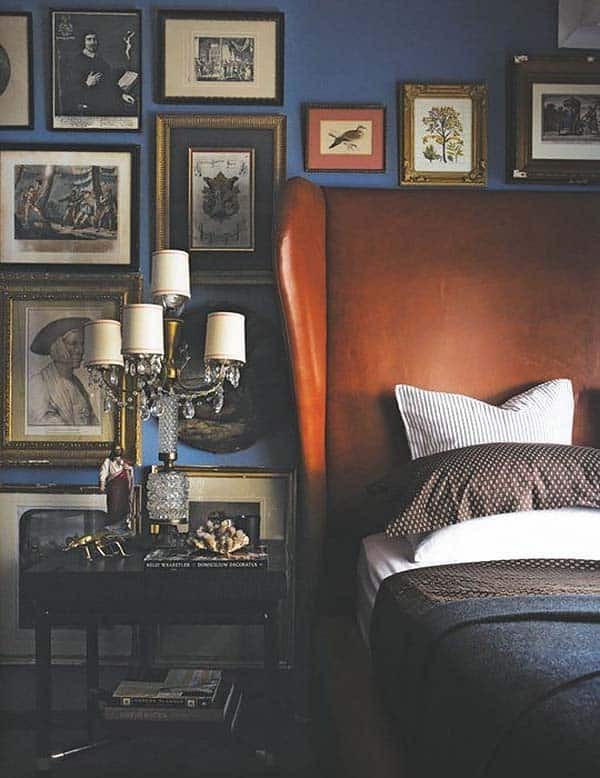 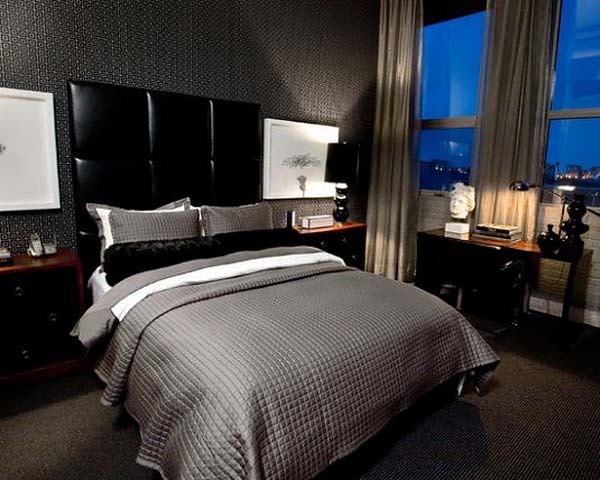 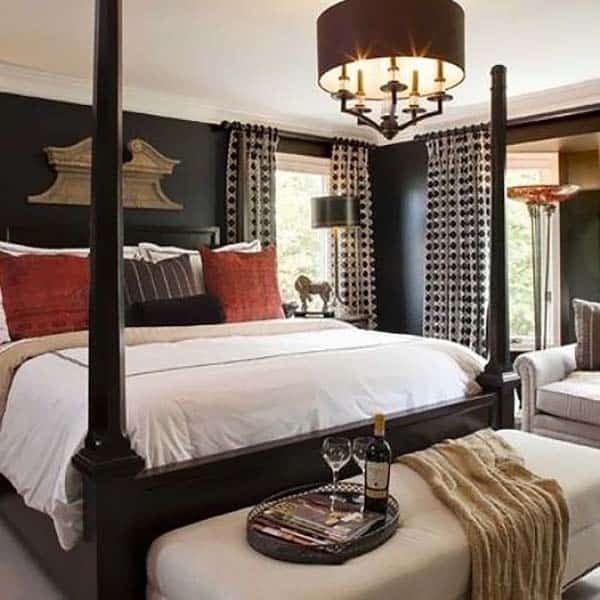 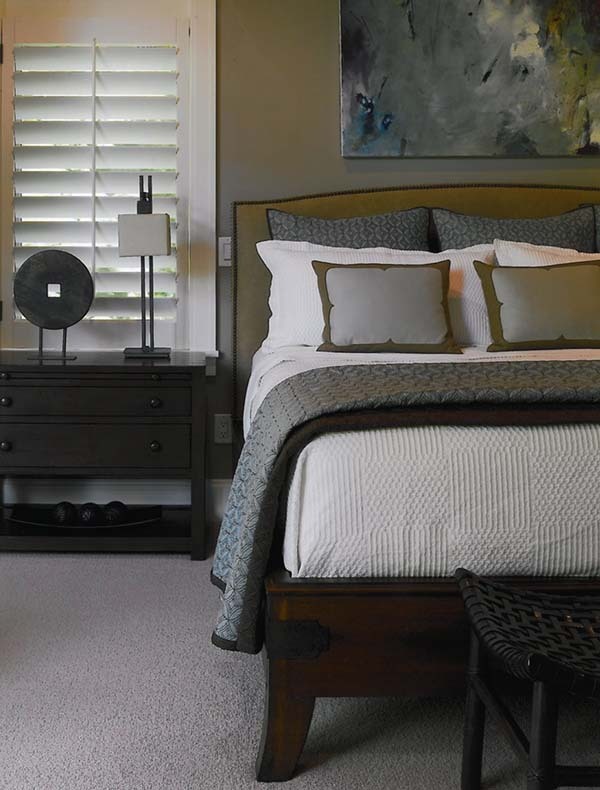 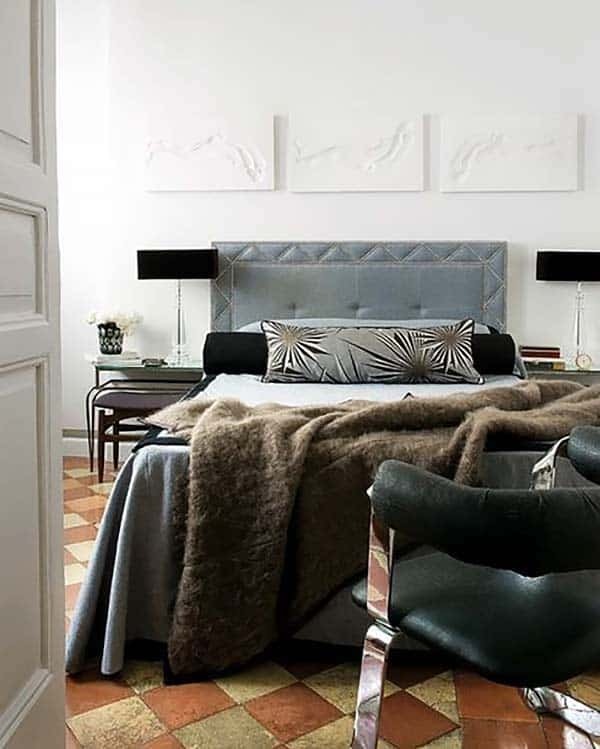 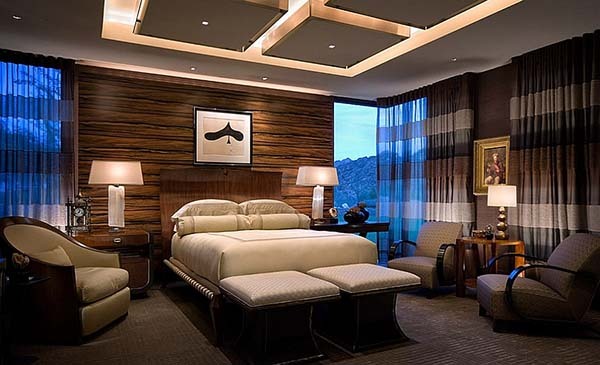 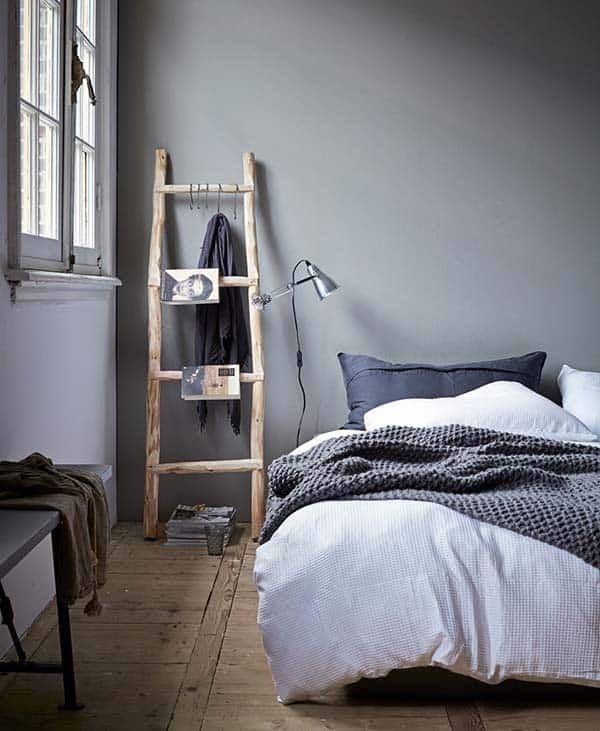 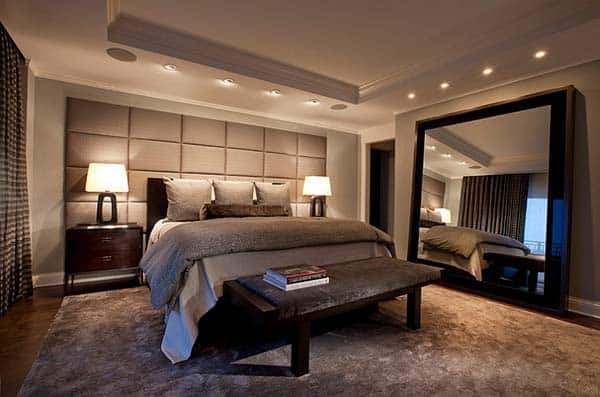 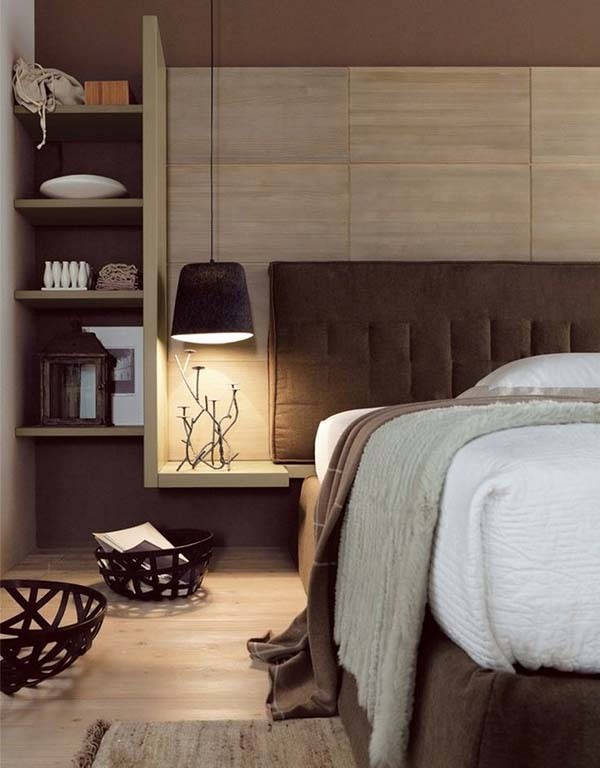 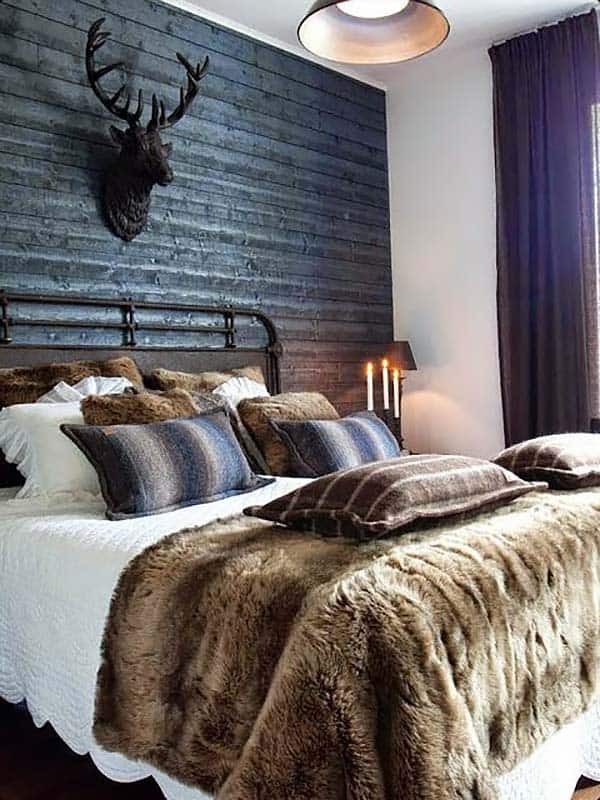 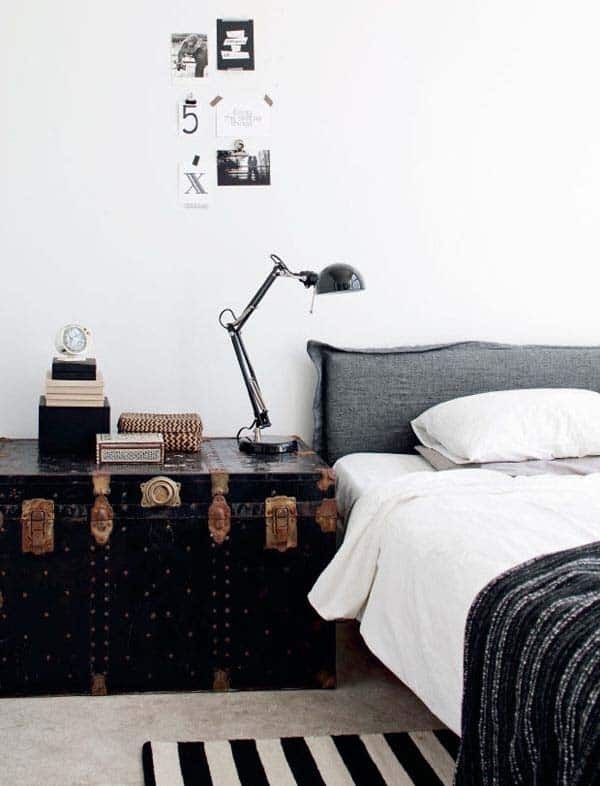 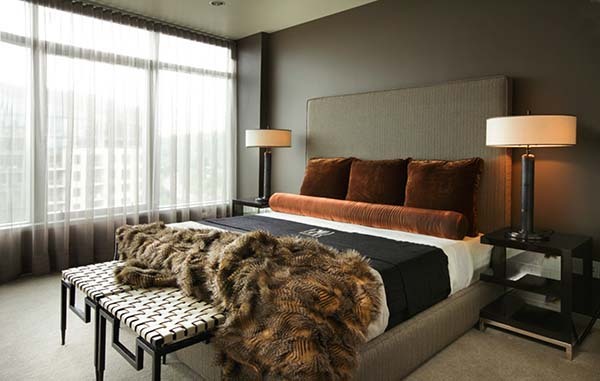 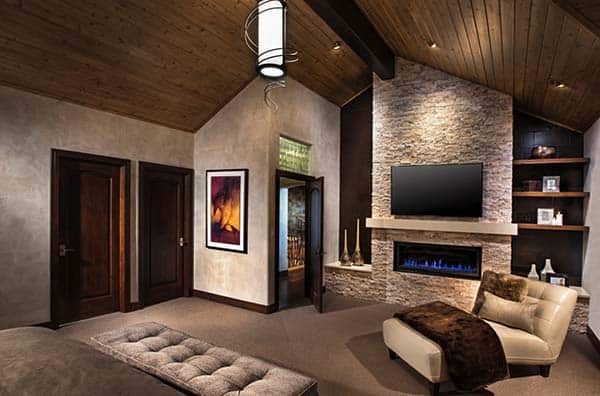 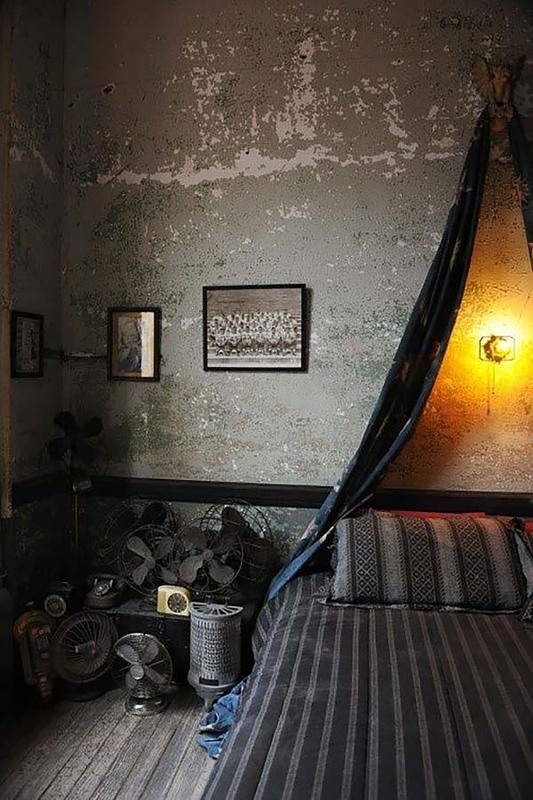 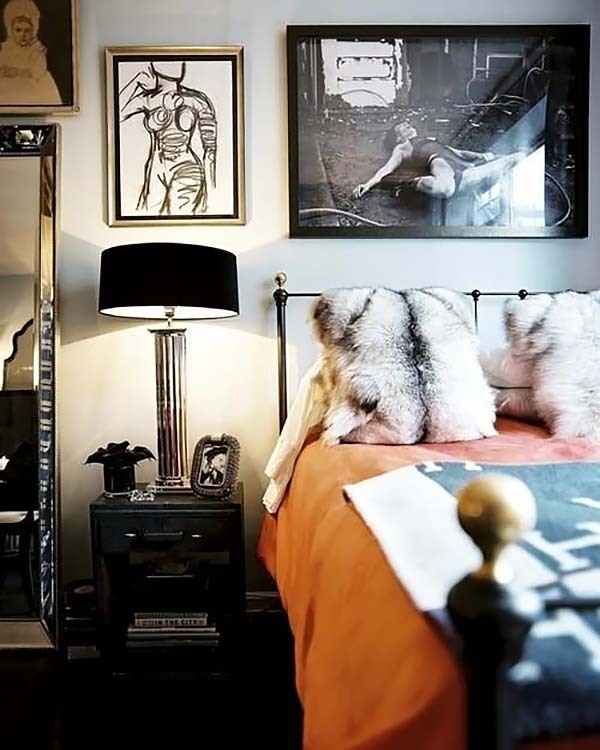 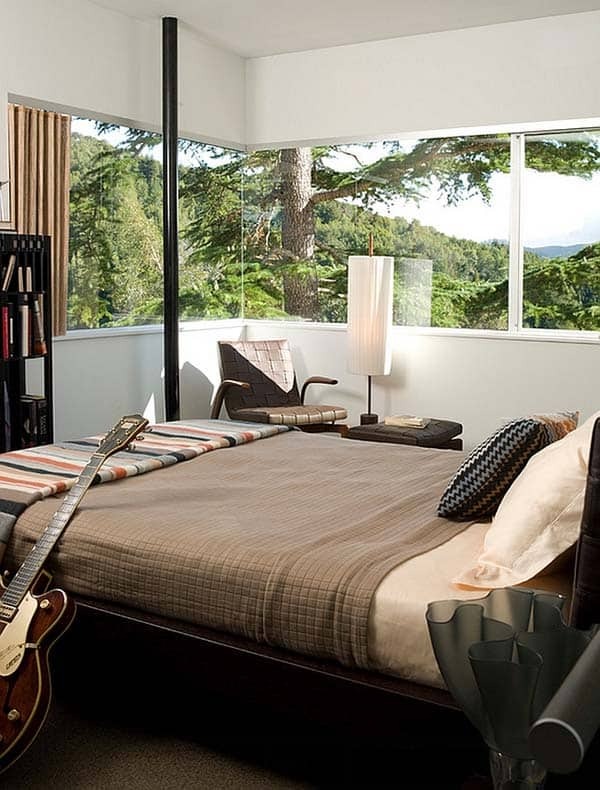 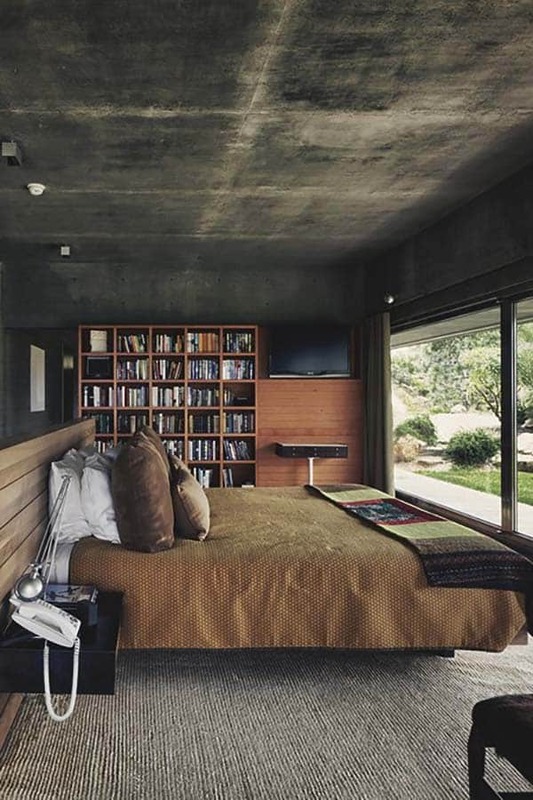 We have gathered together a collection of masculine bedrooms that are very stylish and inviting. 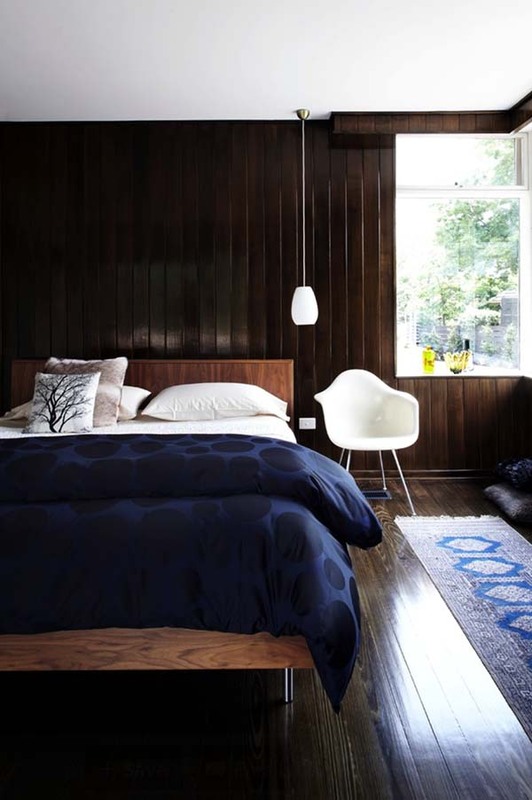 There are bedrooms to suit different tastes, from a more classic style to spaces that are more rugged in nature. 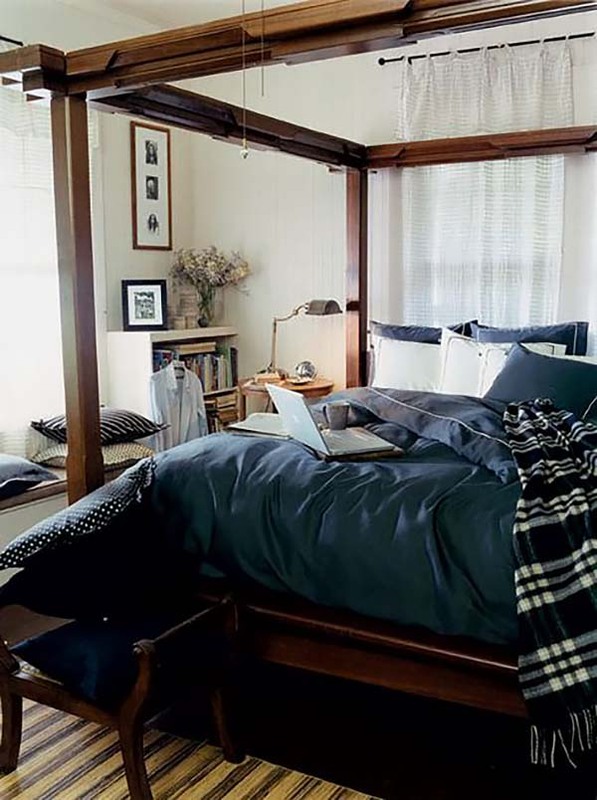 These spaces are not all exactly the same, and they are not just for men. 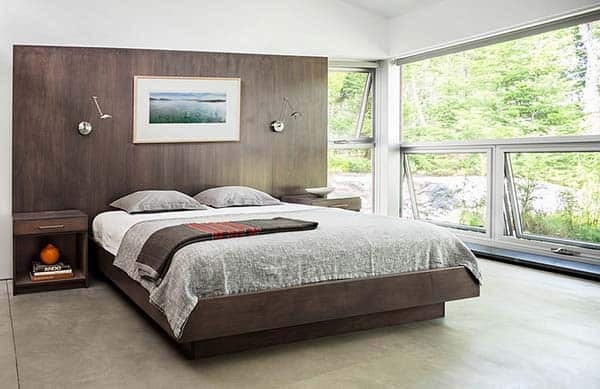 They do help to answer the question of how to create your own stylish and comfortable bedroom if you tend to lean towards the concrete and simple rather than the lavish and cushy. 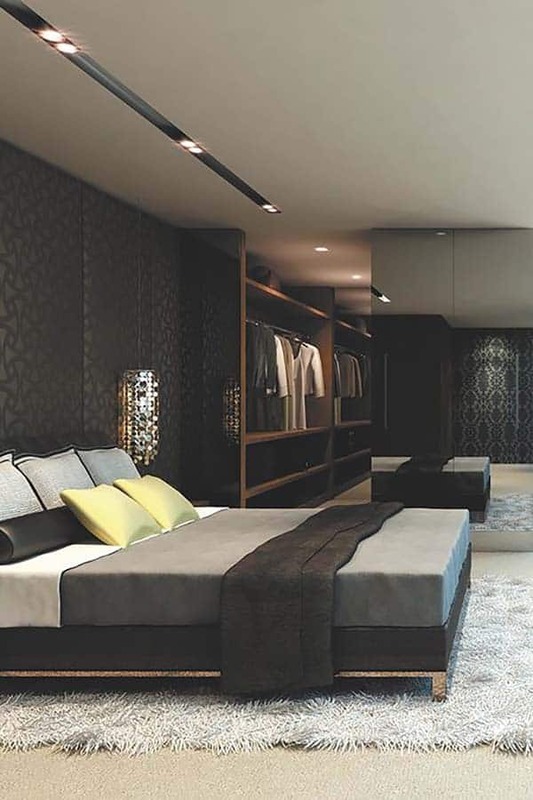 Which one of these bedrooms is the best, in your opinion? 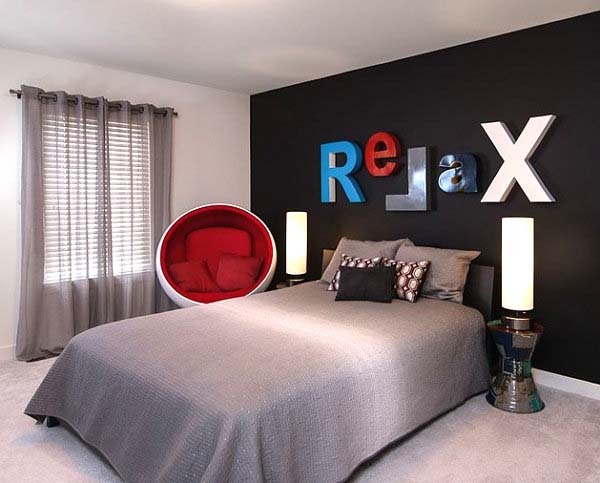 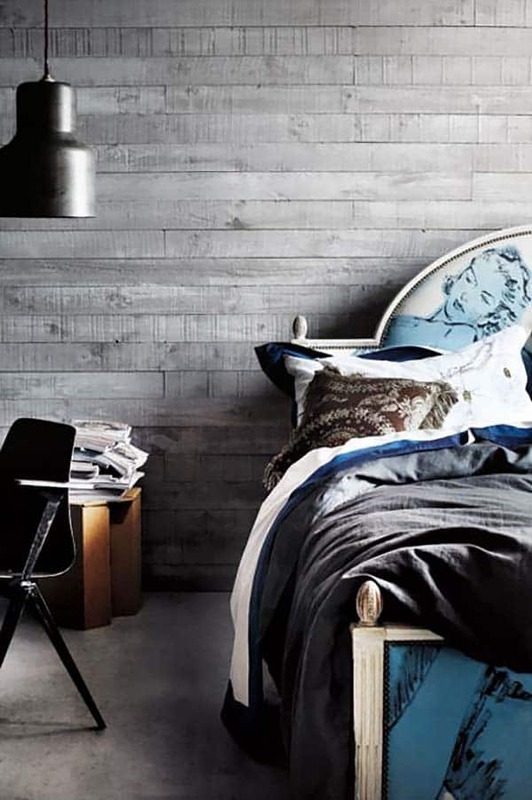 Still looking for more bedroom inspiration? 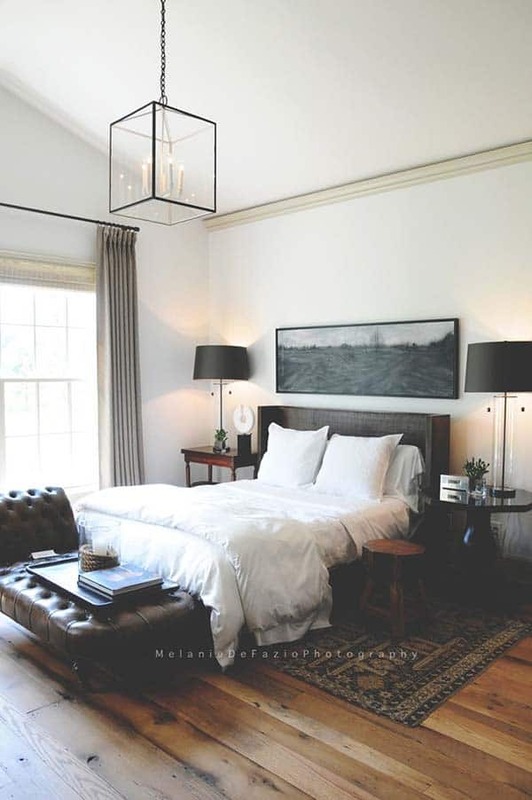 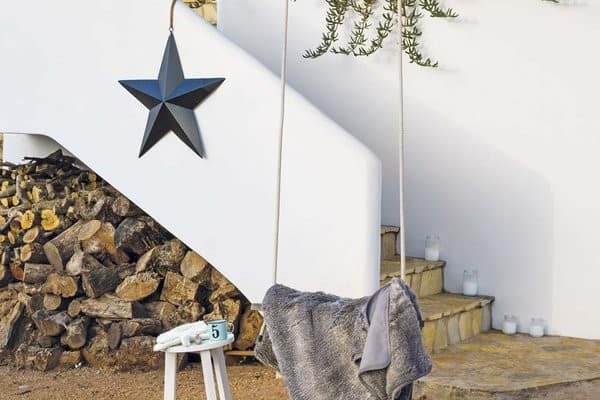 Have a look at one of our past articles on How to create a relaxing bedroom oasis and 45 Fabulous minimalist bedroom design ideas.